Life moving faster than I can write! Life has been moving so fast that finding time to pause and write has been challenging. 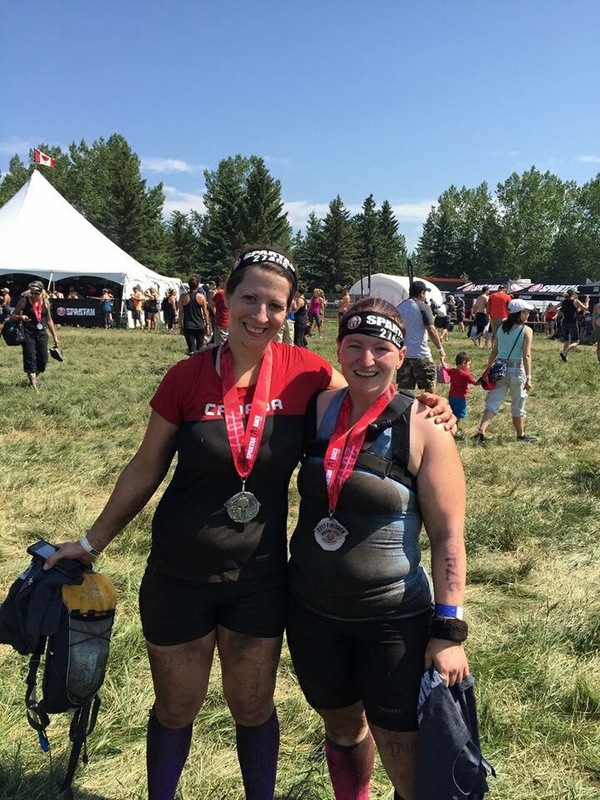 I have overcome new challenges and ran my first Spartan races 3 weeks ago in Red Deer, Alberta. I ran both the Sprint and Super. For anyone just beginning to change their life, don’t let the fear of how long it takes affect you. When September rolls around this year, it will have been 4 years since I changed my lifestyle. It feels like forever ago and it feels like a blur. But here I am, almost 4 years later, and still pushing forward. 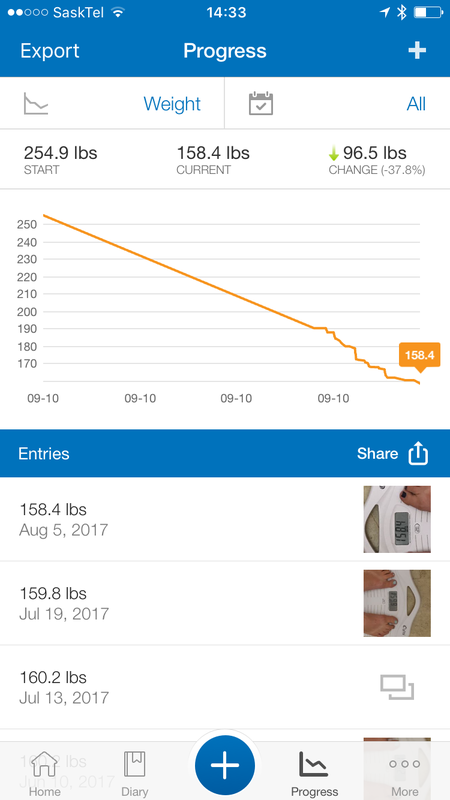 On this journey, I have lost 96.5 pounds – lost 1.8 this week to make this total. I weigh 158.4. When I began, I was 254.9 pounds and just found out I was testing pre diabetic. I have now lost 37.8% of the body weight I used to have. I was terrified to began as I had tried so many times and failed. But this time I did it differently. 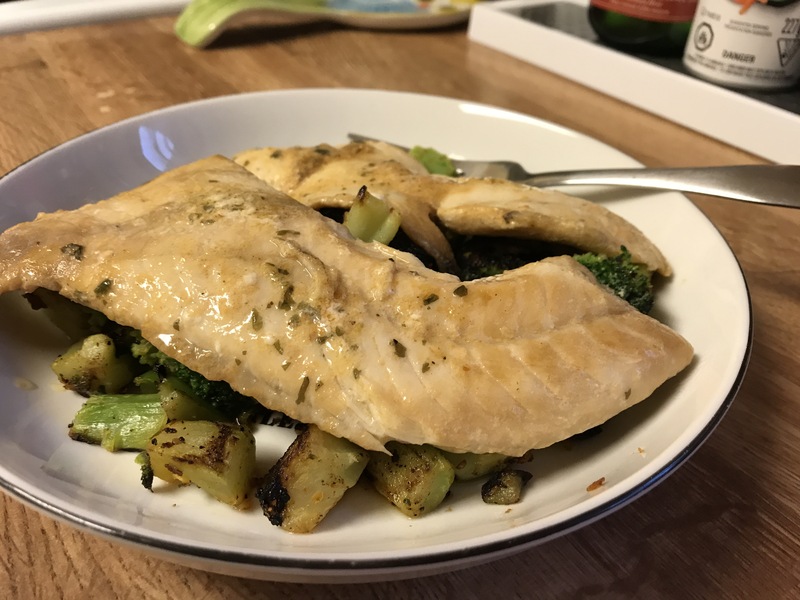 I made healthier meals and decided to focus on getting myself moving. I was ashamed to do anything in public and started walking on a treadmill we bought second hand. I also did some Wii activities – wii fit, Zumba, dancing games. In April 2014, I began to run. I couldn’t run 200 metres without gasping. But I kept at it improving slowly. My almost year long dedication to changing my life opened up the conversation with my boyfriend of getting a dog. I always wanted one, and he did too, but we were living pretty much sedentary. My previous lifestyle would not be fair to any dog. At the end of May 2014, we brought home my running partner, Ginny. We have become almost inseparable on most workouts and runs. It was the best decision at this point to keep me going. 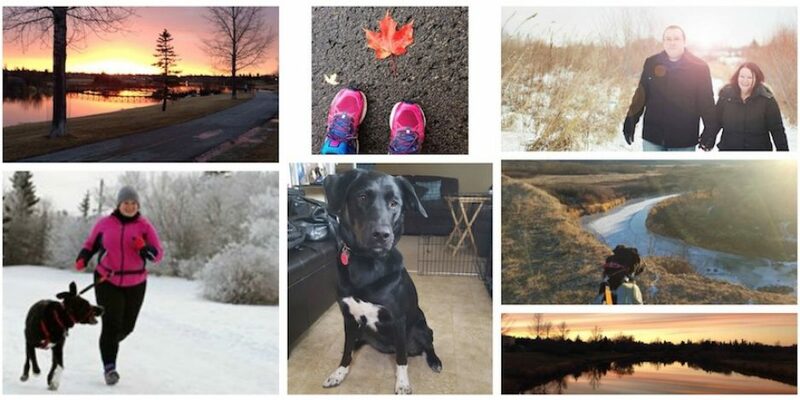 When winter hit, she needed to get out even in -40 C. She kept me going in my first year of winter running. I began to sign up for 5k events and eventually led up to training for a half marathon in September 2015. The weight flew off quickly at the beginning. I lost about 60 pounds when I hit a rock solid plateau. The problem was that I was only running and walking. I realized I needed to do more and that strength training was what I was missing. 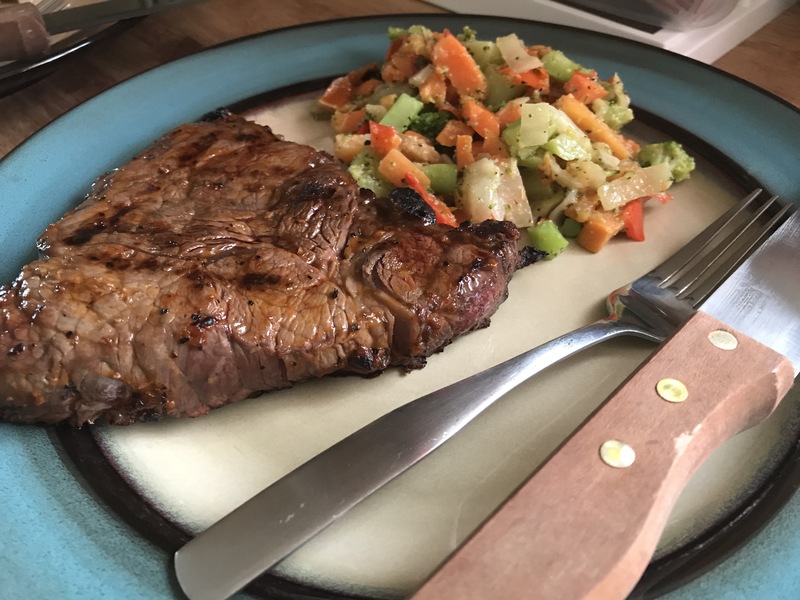 As well, I had made changes to the calories and some of the food choices in my diet but often used workouts as excuse to pig out on junk after. In November 2016, I joined Conviction Fitness in Regina. 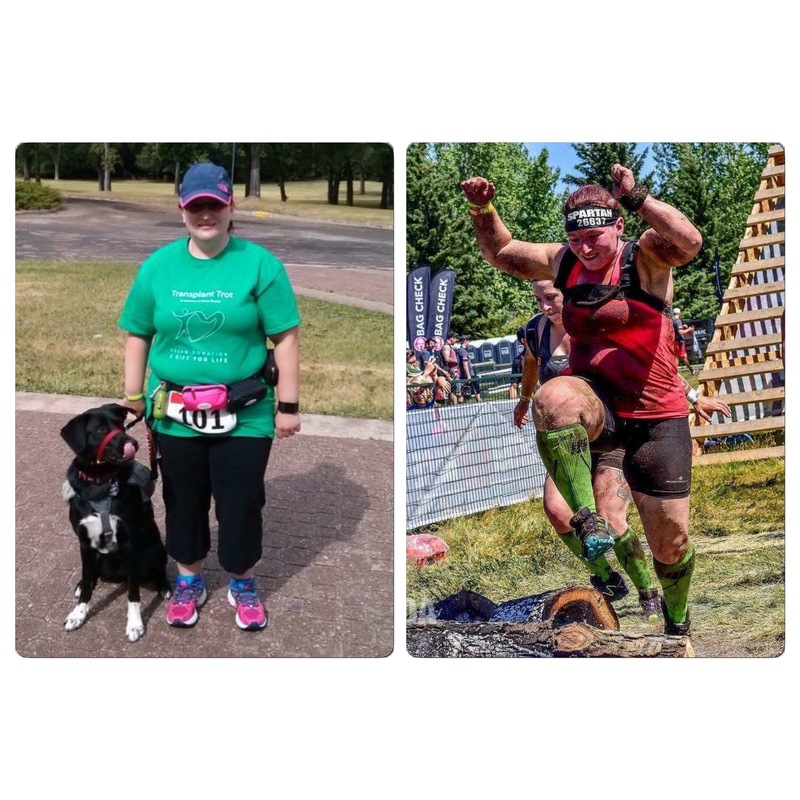 A Spartan SGX coach and nutrition certified trainer who is also the husband of a friend and colleague. 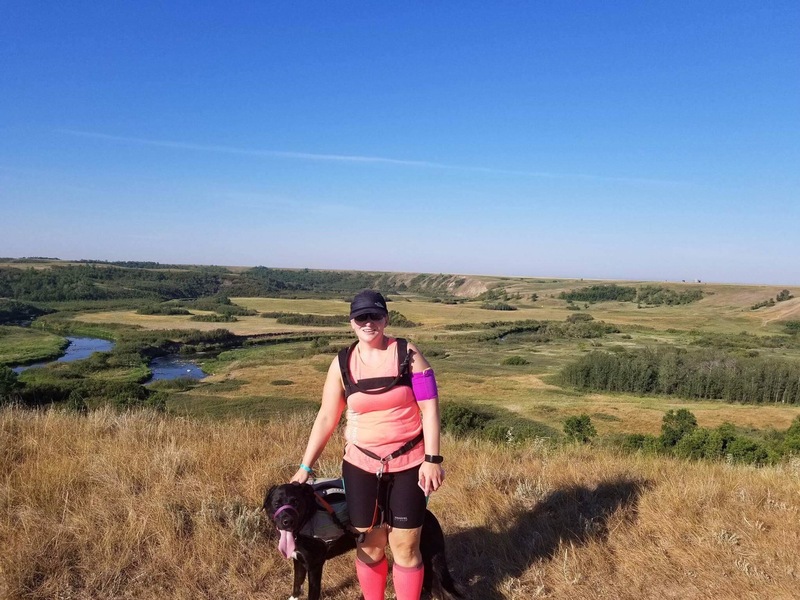 Initially, I was saying I joined only to go once or twice a week to improve my running and continue my weight loss. After one session, I realized how much my body couldn’t do but could learn to do. I began training as a regular Pro paying athlete with Conviction working out 3 times a week with the team as well as doing running and training suggested by trainer. I changed my eating habits drastically. I no longer used workouts to eat junk but to eat healthier carbs. I increased protein and healthy fats. And carbs were reserved mainly for post workouts. Sure, I have a cheat day here and there but I have developed such a routine with my diet that even fruit post workout feels like a treat! No longer do I need to have a cheat day every week or come home to order pizza on a bad day. Food has become a part of my success and not a part of the problem. 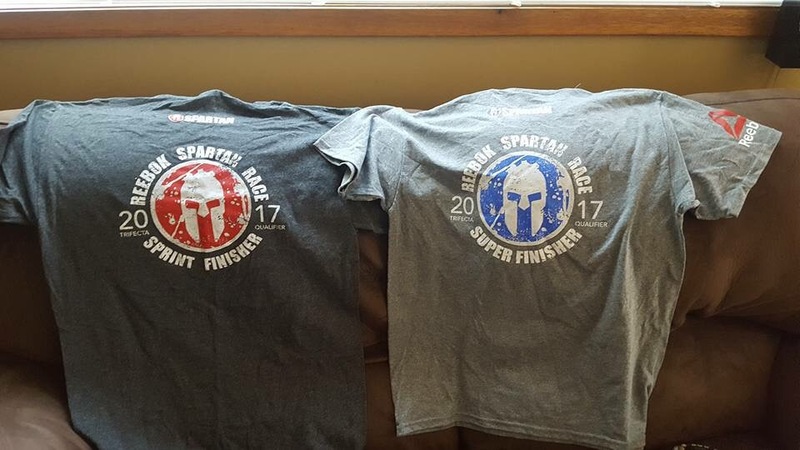 In January 2017, I signed up for 3 races. 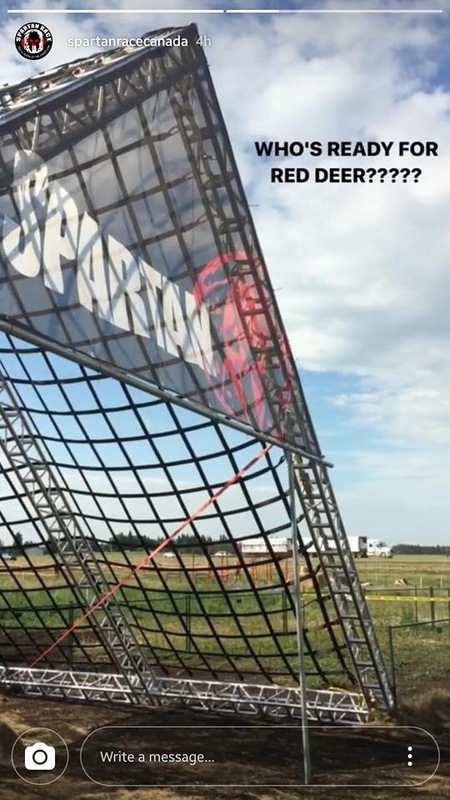 The Spartan Sprint in Red Deer in July and the Calgary Sprint and Super in August. Last month I also signed up for the Super in Red Deer as a friend was running it so thought we could partner up. The first day, I walked onto the grounds and wondered what the hell did I get myself into? I see the map and 25 obstacles and began to overthink. I can’t do this! I am not ready. My 9:30 heat came faster than I was ready for but off we went. First up was a through wall, a vertical cargo net, the rolling mud and dunk wall. My body was going for it and my mind began to realize I was more ready than I wanted to believe. Out of the 25 obstacles that day, I only struggled with the walls (inverted, 6 foot, and 7 foot wall. Part of it is needing more upper body strength and another large part is mental), the rope climb, and the evil rig. I almost did the Z wall but fell at last second. Being in open meant I could try again but my grip from first attempt made me shaky and it wasn’t happening. I did burpees and thankfully a friend shared. I had to do burpees for the rig – that thing was insane! Rings at different heights and bars and ropes! I made spear throw for Sprint but missed it next day. I did do walls but with help so at least no burpees. Otherwise everything else seemed easy! The next day for Super only 4 obstacles added – the 4 foot wall, 8 foot wall, the tyrolean traverse, and tire flip. Crushed tire flip and almost made traverse without help but needed help at the end as rope in calves killed. Of course the 4 foot wall I crushed but 8 foot was insane. I got help and did it but terrifying. I realized I am more scared of getting down without landing wrong or slipping than I am of getting up the wall. I ran Sunday’s longer (5km more than the 7.5 Sprint) Super at a way faster pace than the Sprint. It took us 2 hours 29 to finish Sprint and only 3 hours 10 minutes to finish Super. 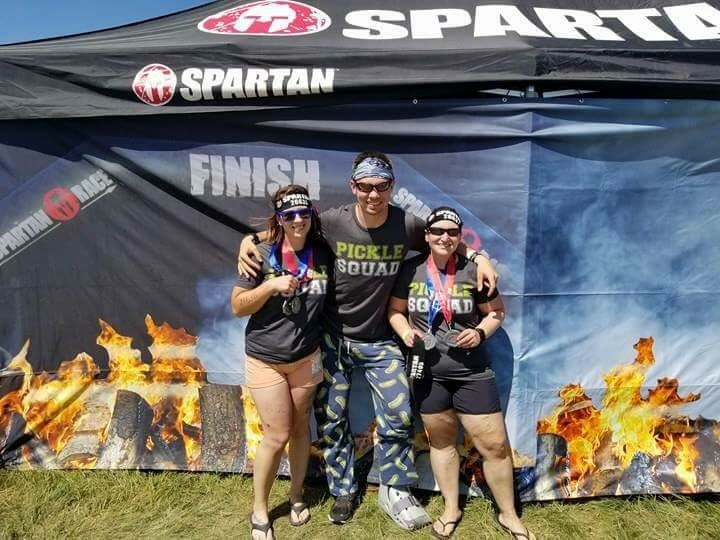 I fell in love with Spartan racing that weekend. I have never been one to get dirty or take risks. But seeing myself fighting mental fears and overcoming them felt amazing. Climbing the Stairway to Sparta or the A frame cargo net made my stomach twirl a bit. But I proved that it is possible. It started as a joke with 2 friends who took upon the challenge to convince me to get in the mud pits. And it ended with me finding a new passion. It was these 2 with me above along with my colleagues and friends, Samira and Amanda, who inspired me and motivated me to this point. 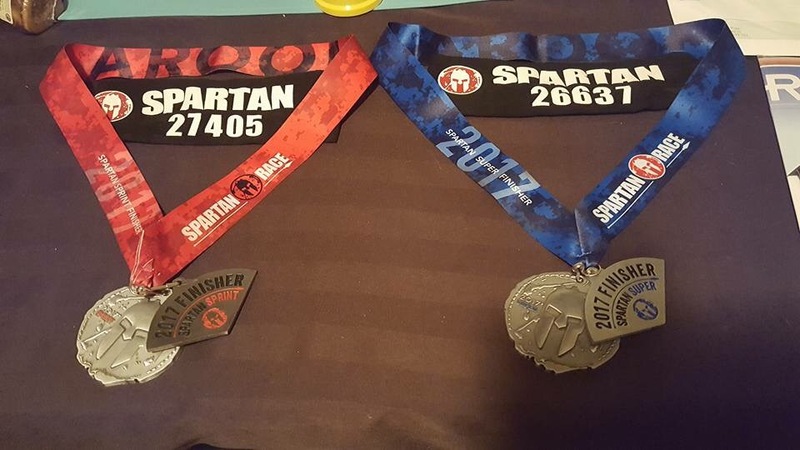 The medals I received this weekend were emotional for me. 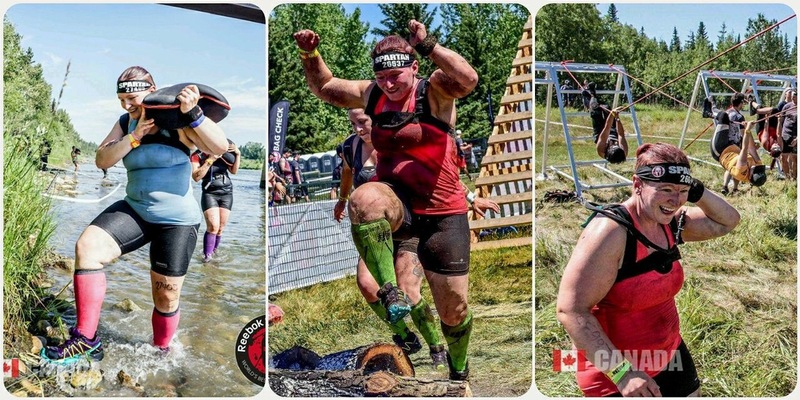 It was that recognition of coming from where I was in 2013 to running in 2014 to running obstacles today. I cannot wait for Calgary this weekend. This trip will be special too as Brad, my boyfriend, is joining me for the trip. I am excited for him to see what I have been doing and why have been doing it. I am excited to see him at the finish line as he is a huge reason why I am able to cross it. 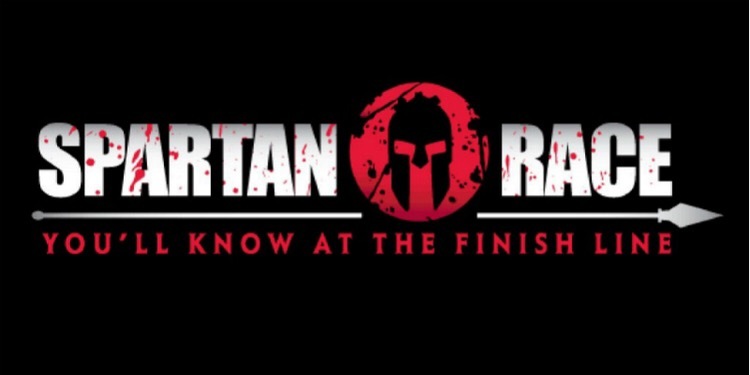 Never doing a Spartan race? 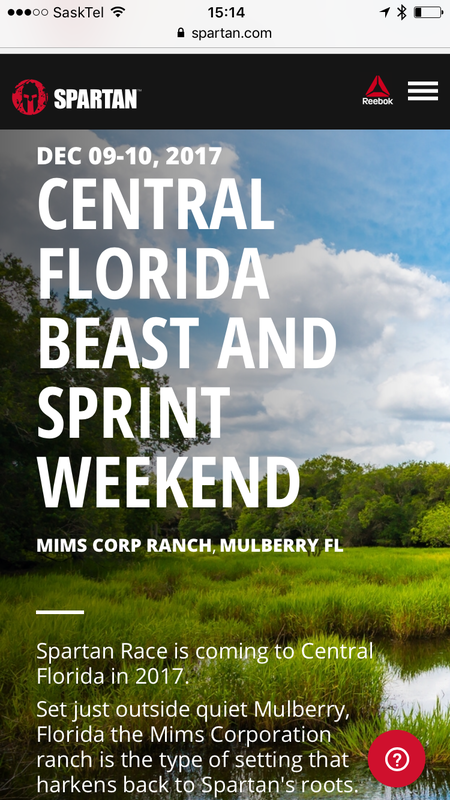 Well 2 down, 2 to go… and heck, let’s add a Beast in Florida in December. Why not end the year of overcoming new challenges with the ultimate challenge? 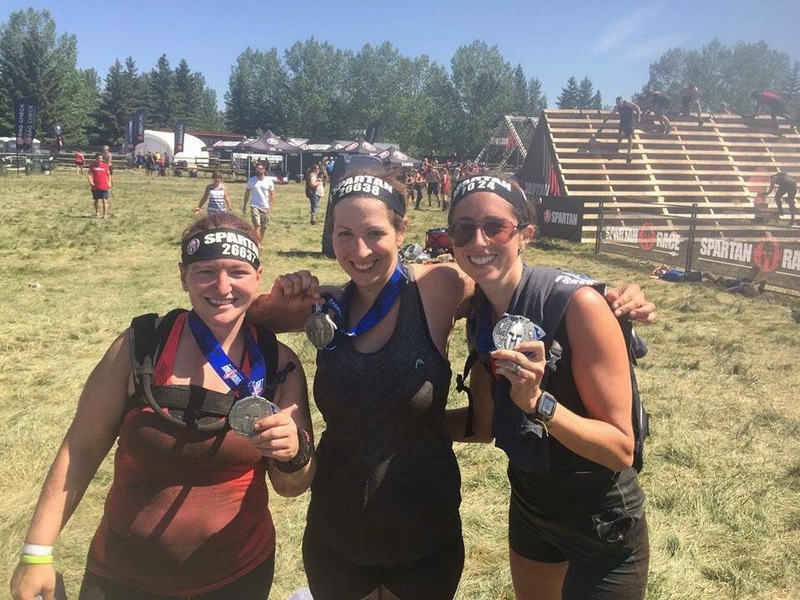 After Red Deer, I instantly knew I’d regret not trying to do a Beast and get my Trifecta. 2017 has been owned and crushed by this girl! I am still in awe of where I came from and excited to see how much further I can go. You are AMAZING Jessica, your hard work & dedication has paid off in so many ways!! You are truly and inspiration! !